Gabriela comes from an Italian family and fondly remembers the big feast that happened every Sunday, where the whole family came together to make handmade ravioli. Her love for cooking started then and she was often found in the kitchen assisting her grandfather, who made her fall in love with food! She learned to cook from her grandfather Ricardo, Tango Quintet Director and a Bandoneon player. 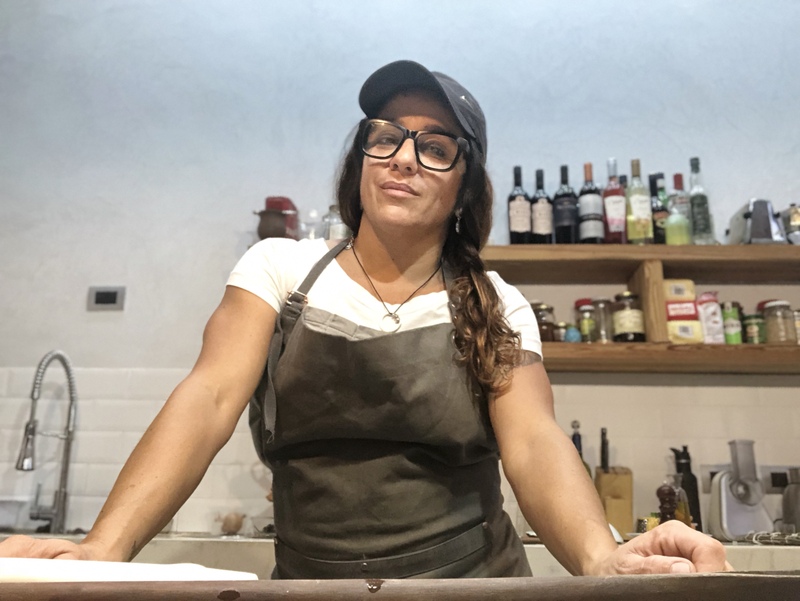 She then furthered her knowledge under the Italian chef, Mario Maiollino when she ran her own restaurant, Ozono in Buenos Aires. She is currently an art director and fashion photographer, and worked and lived in Brazil for many years. Gabriela also enjoys traveling and says it always helps her improve her cooking skills and knowledge. In-home meal: (1-6 guests) When you walk into Gabriela's beautiful apartment, you will be transported into an oasis of old world meets new world. The décor is upscale, with a bit of hipster, old world European elegance and modern pieces from Gabriella's home in Brazil. Raul, Gabriela's partner who is an architect, is responsible for this eclectic yet homely style ambience. Gariela will tell you all about her family, how she learned to cook, her years in Brazil as a fashion photographer while she adds some finishes touches to the meal and sprinkles her empanadas with a special secret ingredient (you won't believe what it is!). 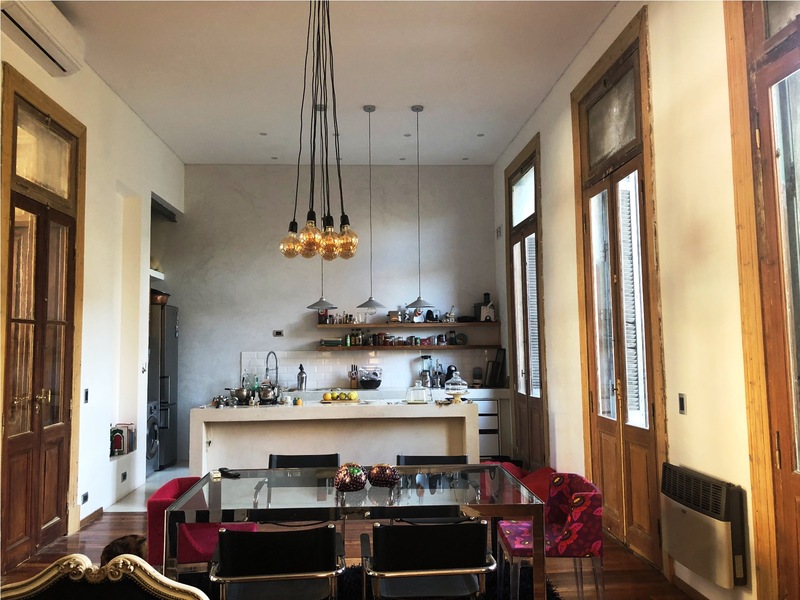 You will then join her at the dining table to share a meal from the Tucumán province in Argentina that might include a few dishes such as focaccia with salami, mini provoleta (gooey cheese), empanadas de carne tucumanas and carbonada (beef stew). You will end your meal with a dessert, budín de pan con canela y dátiles con dulce de leche (bread pudding with dates) or arrollado se dulce de leche (roll filled with dulce de leche), along with some tea or coffee. Cooking experience: (1-6 guests) Join Gabriela in her large open kitchen for a hands-on cooking class that will last for 1 hour. You will join her to make either a traditional Argentinean beef stew, carbonada - true to tradition, this simple, earthy stew is roasted and served inside a pumpkin or empanadas and arrollado se dulce de leche (roll filled with dulce de leche). Market visit: (1-5 guests) Meet Gabriela at her home and then walk for 5-10 minutes to the Mercado San Telmo. This is a huge market, one of the famous landmarks of San Telmo, occupying a quarter of a block. The market provides a good mix of products ranging from antiques and clothing shops to fruit and vegetable stands, butchers shops and bakeries. Gabriela will give you a hour long tour of the market and at the end you will buy a few ingredients for your cooking class. Notes: The price includes alcohol (up to two glasses of local wine or beer). Gabriela can also offer vegetarian, gluten free and low carb meals on request. Please choose between: carbonada (beef stew) or guiso de lentejas (lentil and spinach soup) or ojo de bife con papas fritas y ensalada (ribeye with fries and salad), or I can prepare something specially on your taste, we can talk about this. Colaciones, a very special pastry filled with dulce de leche, or I can make some special offer for you, depending on your taste. We felt right at home from the moment we arrived. The house is so gorgeous and Gabriella and Raul are so laid back and hospitable. Always m​​aking sure we had something to eat and drink. Before you know it you feel like you are sitting in your new best friend’s kitchen, drinking wine, eating focaccia con salame while Gabriela pats away at empanadas de carne tucumanas. When it is time to eat, you will gather around the table and eat some of the most amazing Argentine food you can imagine. Everything was absolutely delicious. So much thought and time went into each dish and she did a great job explaining each one, why she chose it, any traditions behind it. I still can taste the deep, rich perfectly blended spices of the Carbonada, a traditional stew served inside of a pumpkin. Just when you think you can't take another bite- Gabriela ​​sweeps the table and starts plating not one but two of her signature desserts - both con dulce de leche, of course. This experience surpassed all of my expectations. We left with full bellies, a new found knowledge of Argentinian cuisine and two new Porteno friends.